The global Battery Market is anticipated to grow at a CAGR of 6.2% during the forecast period. Batteries are a collection of cells whose chemical reactions create a flow of electrons in a circuit. Batteries are developed from anode, cathode, and electrolyte. Batteries are electrochemical cells, which are electrically charged to provide a static potential for power. Some common batteries include sealed lead acid battery, nickel cadmium battery, nickel-metal hydride battery, and lithium ion batteries among others. Different applications of batteries include portable computers, cellular phones, home appliances, audio and video equipment, toys, and electric vehicles. The major factors driving the growth of Battery market include increasing demand for consumer electronics such as smartphones and laptops, and increasing disposable income. The growing need for security of energy supply accelerates the Battery market growth. The decreasing prices of raw materials, coupled with increasing need to use renewable and green energy boosts the battery market growth. Increasing demand from developing nations provide numerous growth opportunities to the Battery market players. There has been an increasing application of batteries in battery electric vehicles owing to environmental concerns. Regulations regarding vehicle emissions coupled with environmental concerns supplement the growth of battery market. Technological advancement, application in varied industries such as aerospace and defense, healthcare, and electronics among others, and growing government initiatives to promote use of electric vehicles drive the Battery market growth. The global Battery market is segmented on the basis of type, end-user, and region. The Battery market report segments the type into lead acid, lithium-ion, nickel metal hydride, nickel cadmium, and others. The lithium-ion battery is expected to grow at the highest rate during the forecast period. Lithium-ion battery offers low weight, high-energy density and long durability, thereby increasing its adoption in battery electric vehicles. They also provide good high-temperature performance, high energy efficiency, high power-to-weight ratio, and low self-discharge. Lithium ion batteries are being increasingly used in battery electric vehicles to increase driving distance and overall performance. The end-user segment is divided into automotive, industrial, consumer goods, and others. The consumer goods segment accounted for the highest Battery market share in 2018. The growing demand for smart phones coupled with increasing disposable income of consumers foster Battery market growth. 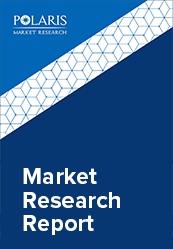 This report comprises a detailed geographic analysis of the Battery market across North America, Europe, Asia-Pacific, Latin America, and MEA. North America is further segmented into U.S., Canada, and Mexico. Europe is divided into Germany, UK, Italy, France, and Rest of Europe. Asia-Pacific is bifurcated into China, India, Japan, and Rest of Asia-Pacific. Asia-Pacific is the major region contributing to the Battery market growth due to increase in disposable income and living standards of consumers in the region. The presence of large number of automotive manufacturers and portable device suppliers also fosters the growth of battery market in this region. The leading players in the Battery market include BYD Company Limited, Duracell, Eveready Industries, Johnson Controls, Exide Technologies, LG Chem Limited, Sony Corporation, NEC Corporation, Panasonic Corporation, Toshiba Corporation, Samsung SDI Company Limited, and EnerSys among others. These leading players are introducing innovative products in the Battery market to cater to the growing demand for consumers. Global players are entering new markets in developing regions to expand their customer base, strengthen market presence, and increase their Battery market share. In July 2016, Tesla opened a new gigafactory in Nevada. The establishment of this factory will produce lithium-ion batteries, which will significantly decrease battery prices in the market, thereby supporting the growth of the battery market.